Today everyone wants to create new apartments in lively neighborhoods, where residents will live a short walk from shops, restaurants and other services. In urban and semi-urban locations all the cities want to have retail on the street front. Local zoning officials—who often decide whether or not apartment developers can build their projects—encourage developers to include retail space in their new buildings. Apartment renters have a proven desire to live in bustling neighborhoods, near amenities like restaurants, bars, shops and grocery stores. What’s more, renters gladly pay higher rents to live within a block or two of a grocery store, for example. When a mixed-use project is done properly, people want to live and work there because of the amenities, such as retail. When you add these other pieces, the retail performs better than average. The components combine, so when a mixed-use project goes to market, investors think about strong multifamily, office and retail cap rates. But the real value is that you are applying strong cap rates against better cash flows. Hosted by SVN Rock Advisors, this workshop will provide a strong focus on how you can benefit from the current rush to build multifamily apartments. We offer a variety of workshops throughout the year, with a focus on the local market and/or the other asset classes developers are already experienced in. 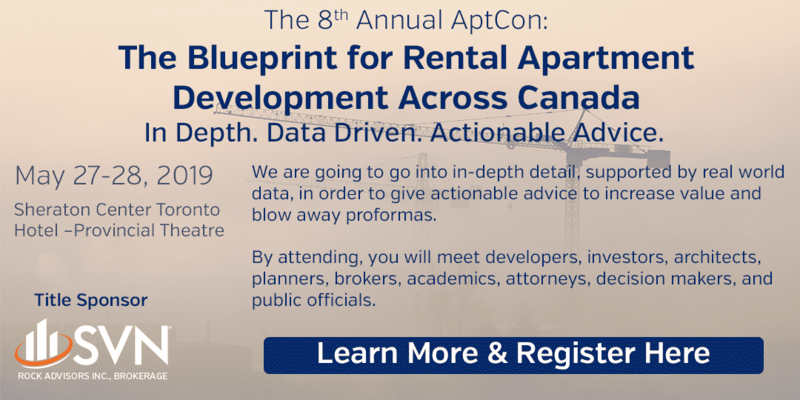 This workshop is part of our larger seminar series, along with our free webinar series, and our in-depth symposium, to give developers as much information as possible to help guide them regardless of their prior experience or knowledge of purpose-built rental apartment development.